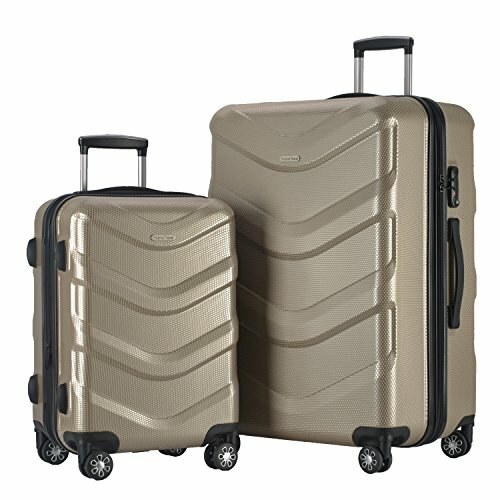 2 PC Luggage Set Durable Lightweight Hard Case Spinner Suitecase LUG2 RA8713 CHAMPAGNE by HyBrid & Company at Average Adventures. Hurry! Limited time offer. Offer valid only while supplies last. Two piece luggage set 20 inch (Carry on),28 inch upright,can be stored one into another.